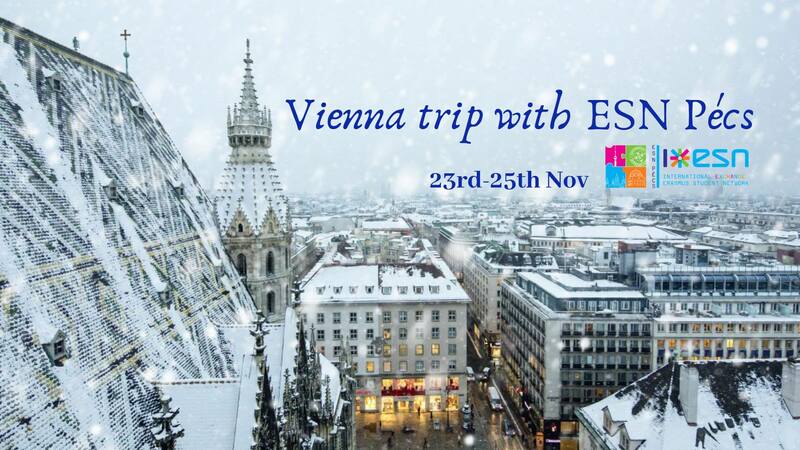 We are glad to inform you about our next ESN trip! We will take you to two beautiful cities of our neighbour, Austria. Let's discover the magical Christmas themed city of Vienna and Graz. Mulled wine, Wienner schnitzel, wonderful Xmas markets, beautiful cities with pretty riverside, Erasmus lifestyle. In the night we will check the nightlife of Vienna, during the day the city will show its beauty to us!